Ending a marriage is never easy. How can you be sure you know it’s time to call it quits on your relationship? While there are no magic tips for how to know that it’s time to get a divorce, there are certain signs and signals you can pay attention to and heed. From seeing your marriage as the lesser of two evils to focusing on the me instead of the we, FEMAIL reveals the top signs it’s time to get a divorce. Worth thinking about if you’re contemplating one this ‘divorce month’ (January). A classic feeling for many married couples on the brink of a divorce is that they see their married life as the lesser of two evils. Imagine having to start over and find someone new, surely it’s easier just to stay together? Wrong. Experts point out that this is a dangerous warning sign and shouldn’t be ignored. Life will always be easier when you’re happy. For the majority of couples, being together works as a partnership. Whether it’s the finances, parenting, household chores or supporting each other, the primary focus is the couple, rather than the personal end goal. If you’ve both taken on separate paths and rarely discuss anything except your schedules, you know there’s something wrong. Perhaps try a counsellor, and make sure you’re both committed to getting the marriage back on track. If not, it might be time to call it quits. Respect is the cornerstone of every good relationship. As soon as it breaks down, it can be difficult to get it back. Rather than immediately throwing in the spousal towel, however, look at why your respect and trust has gone, and see if you can once more find a way to trust the person you fell in love with. If you can’t gain back those feelings, though, it doesn’t bode well for the future. Warning bells should be ringing if you even went into the relationship hoping that your partner would change certain aspects of their personality. But if you’re married and still holding on, it’s definitely a time-for-divorce sign. While almost everyone would change one or two things about their partner, if the bad bits outweigh the good bits, you probably shouldn’t be in the relationship at all. Try focusing on what you can accept or compromise on within the marriage, and if you can’t, it might be time to walk away. Children are a lot more intelligent than their parents often give them credit for, and they can smell discord from a mile away. Importantly, children also emulate the relationships they saw as children when they’re adults – do you really want them to grow up thinking the type of relationship you have with your hated spouse is normal? Countless experts also argue that young children generally make their own sense of the world around them, and if you’re unhappy, they might just blame themselves. 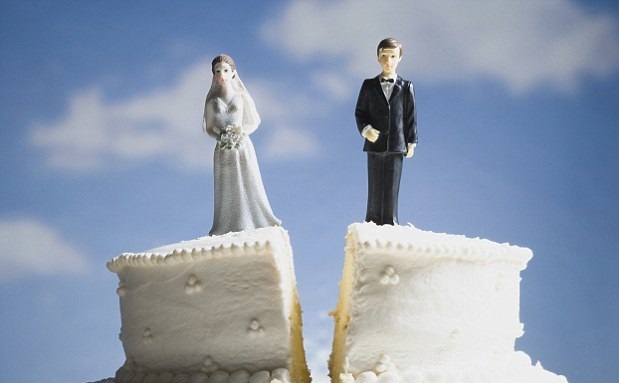 If you fall into this bracket, it might be time to hire a divorce lawyer – pronto. Last but not least, if you worry about what friends and family will think is a factor, then this is at least a sign you’ve contemplated getting a divorce. But while some might see breaking up as a sign of failure, it’s important not to look at things this way, and don’t let it stop you from moving forward in pursuit of happiness. If the people you care about truly care about you, they will support your decision to be happy, whatever it is. Happiness is most important. Stonehewer Moss are a Specialist Family & Divorce Law Solicitors based in Northwich. We are a team of friendly, approachable Northwich Solicitors. We are progressive and professional, yet friendly and sympathetic. Call us today on 01606 87 22 00. This article was added on Thursday, January 12th, 2017 at 4:06 pm and is categorised under Cheshire News, Chester News, Child arrangements, Divorce, divorce finances, Family Law. Both comments and pings are currently closed. Error: Error validating access token: Session has expired on Saturday, 09-Mar-19 13:12:58 PST. The current time is Thursday, 25-Apr-19 10:05:53 PDT.